NS77NW 53.00 7000 7600 to 7499 7789. The length of canal between Westermains (NS 6497 7337) and Auchinstarry (NS 7180 7686) is scheduled under reference number 6769. The length of canal between the administrative boundary at Auchinstarry (NS 7180 7686) and that at Castle cary (NS 7850 7844) is scheduled, together with the Craigmarloch feeder (NS77NW 53.01) and Wyndford lock (NS77NW 71) under reference number 6766. Information from Historic Scotland, scheduling documents dated 22 April 1997. NS77NW 53.00 NS 7000 7600 to NS 7499 7789. 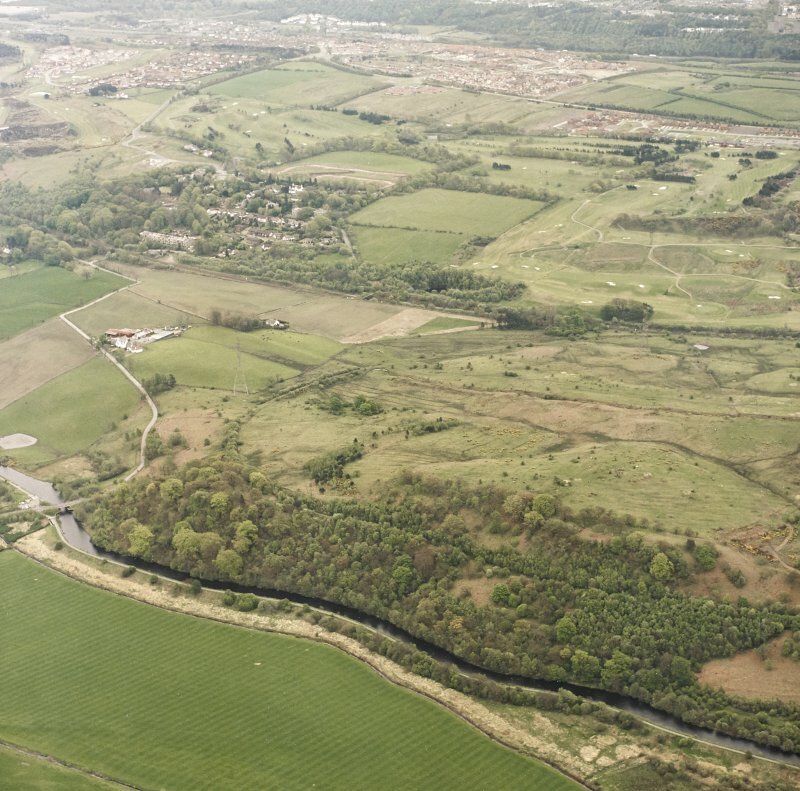 The Dullatur Bog was regarded as one of the most serious obstacles in the creation of the Forth and Clyde Canal, but Smeaton's report (1764) showed this to be on the cheaper and more direct line for the waterway. This stretch was somewhat unstable and there is a record of several labourers being injured in February 1796, when a piling-engine, employed to repair the canal bank, collapsed. 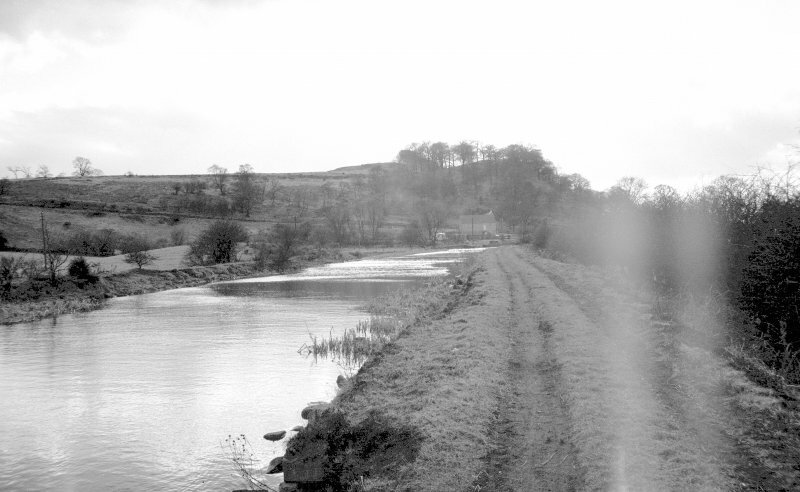 The decision to take the canal right across the Dullatur Bog caused a number of problems for the builders. 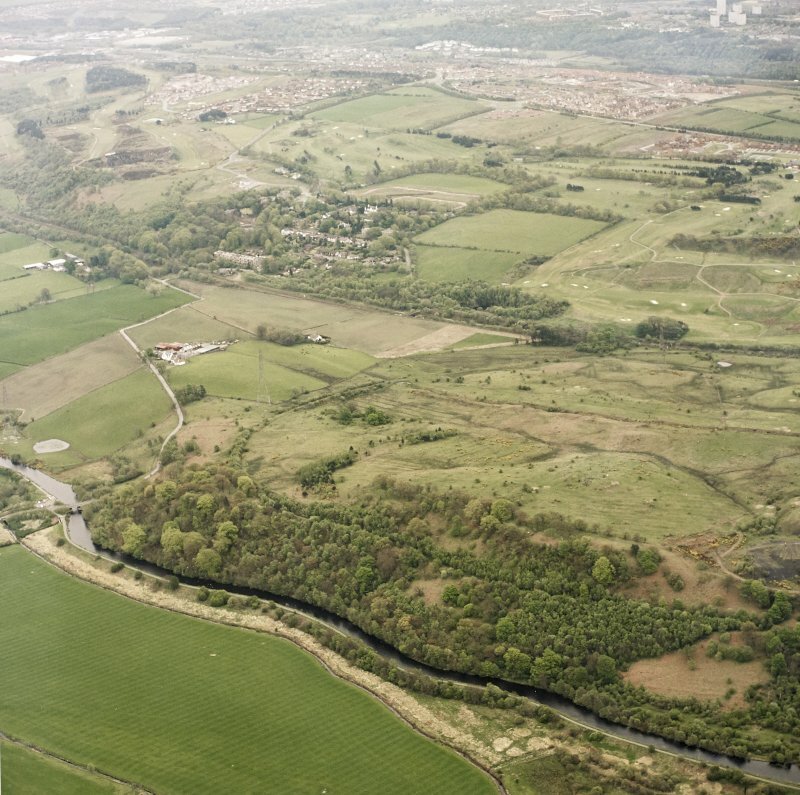 A channel on the N side, which formed the headwaters of the River Kelvin, was utilised for draining the bog. The towpath was then built up on a large straight embankment which required to be sunk fifty feet into the bog in order to be stabilised. This contains the canal and permits it to flood on the offside up to its own level. Along this stretch of canal there are a number of small jetties and landing stages. 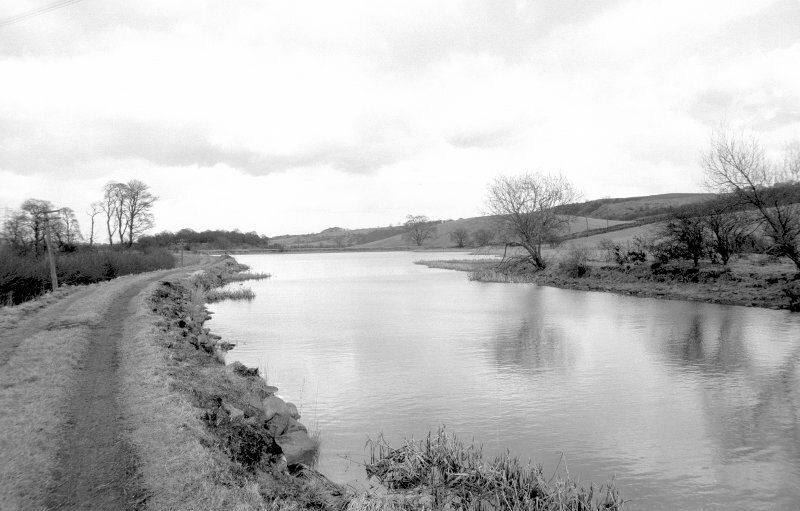 Initially the canal engineer, John Smeaton, believed he could cut the canal through the Dullatur Bog, to the E of Craigmarloch, while filling it with water simultaneously. However, slime kept choking up the cut and it was found necessary to sink fifty five feet of earth and stones in order to raise banks and create a towpath. During construction, a stable sank into the bog, bodies of men and horses who had perished in the Battle of Kilsyth were uncovered and millions of frogs were displaced. To the E of Craigmarloch the canal starts to run through the Dullatur Bog, which the engineers decided to cut straight through. A considerable effort was made to drain the bog, then a large embankment was constructed which required to be sunk fifty feet (sixteen metres) into the bog before it could be regarded as stabilised. The towpath and N side of the canal were built with care, allowing the water to find its own level mainly on the S side, thus creating a variable width to the canal. A line of springs welling from the slopes above the canal still causes the ground to be wet. At the time when the canal was being built, tens of thousands of frogs were displaced.